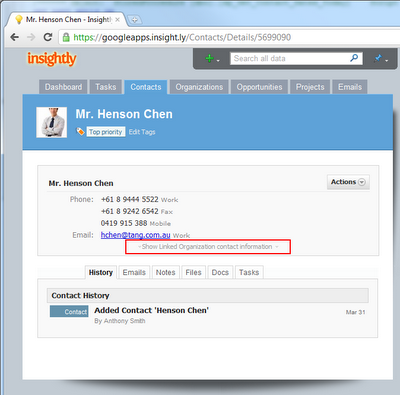 We've just introduced a couple of new features into Insightly, a built in calendar and an event system. 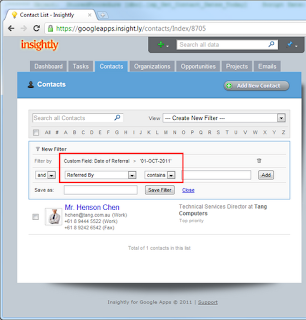 Events in Insightly have a specific start date and time, and an end date and time. 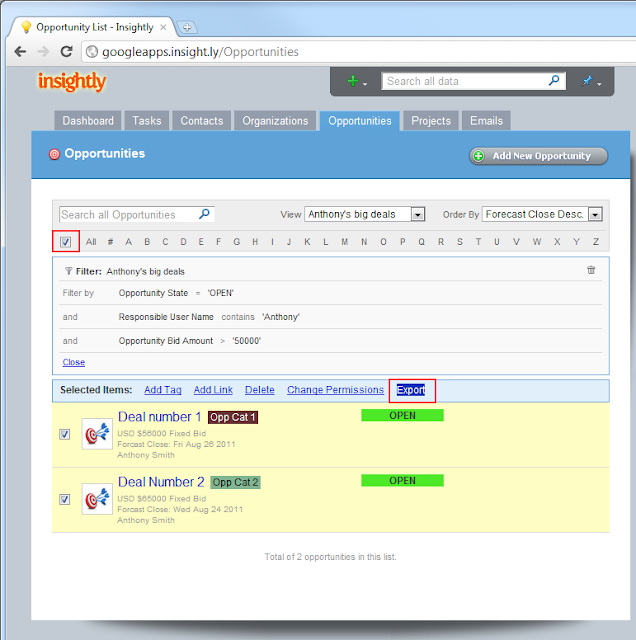 Examples of events are things like appointments, meetings, or conferences, and they can be linked to contacts, organizations, opportunities or projects in Insightly, or you can create them just for yourself. You can set an event to private to have it only visible to yourself and Insightly administrators, or make it public so other users can see. 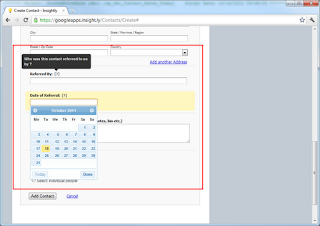 Events can also have a location, and we added a large text block for you to enter any further details too. 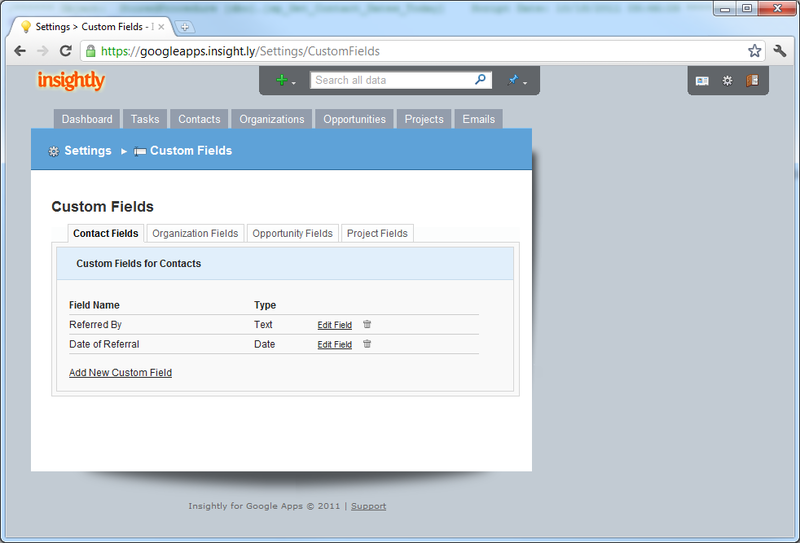 From the 'Quick Add' menu at the top of every screen, select 'Add New Event'. From within a contact, organization, opportunity, or project - open the Actions menu and click 'Add New Event' which will automatically link the new event to that item. 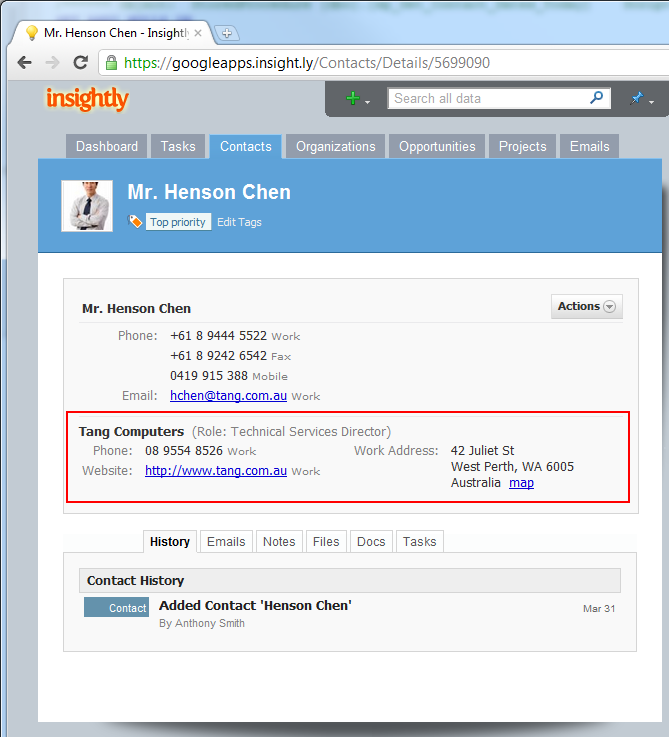 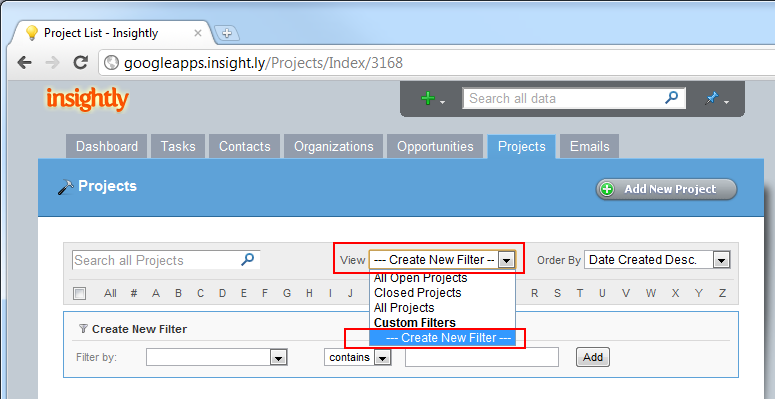 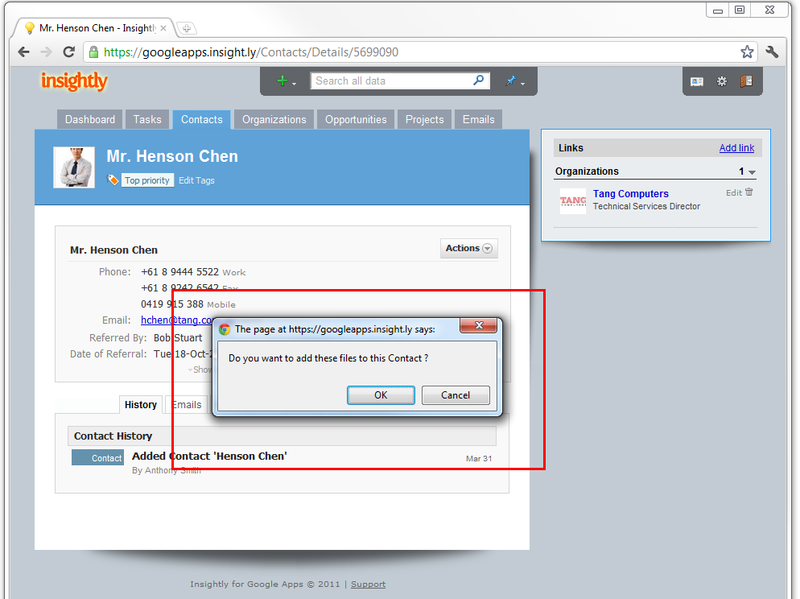 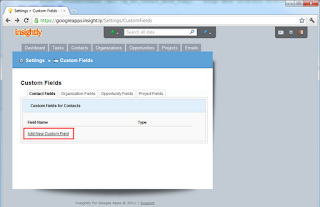 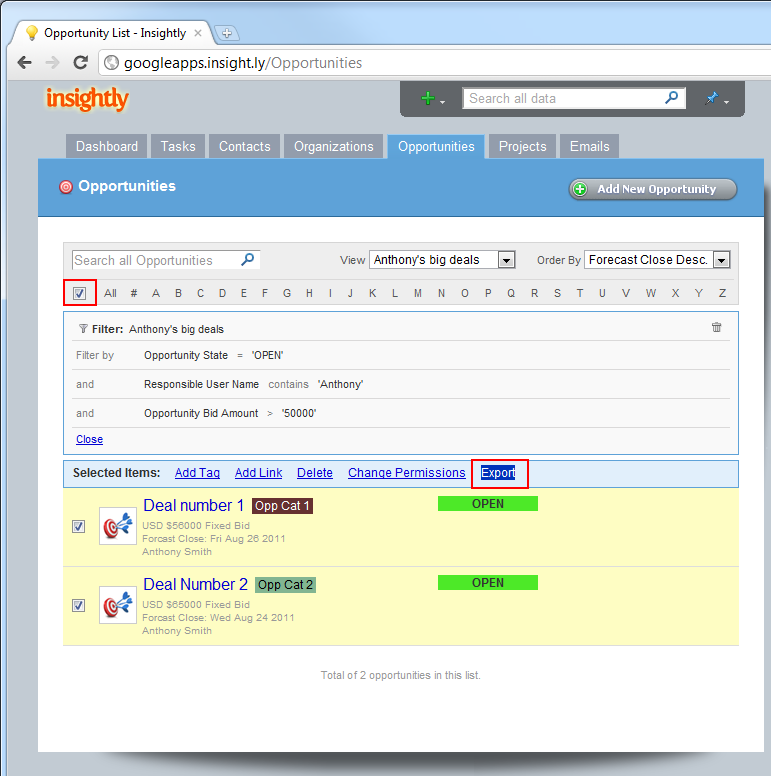 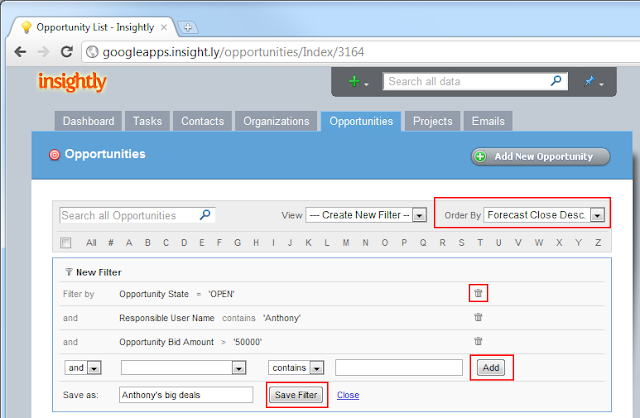 From within the Events sub-tab for a contact, organization, opportunity, project, click the 'Add new Event' hyperlink. 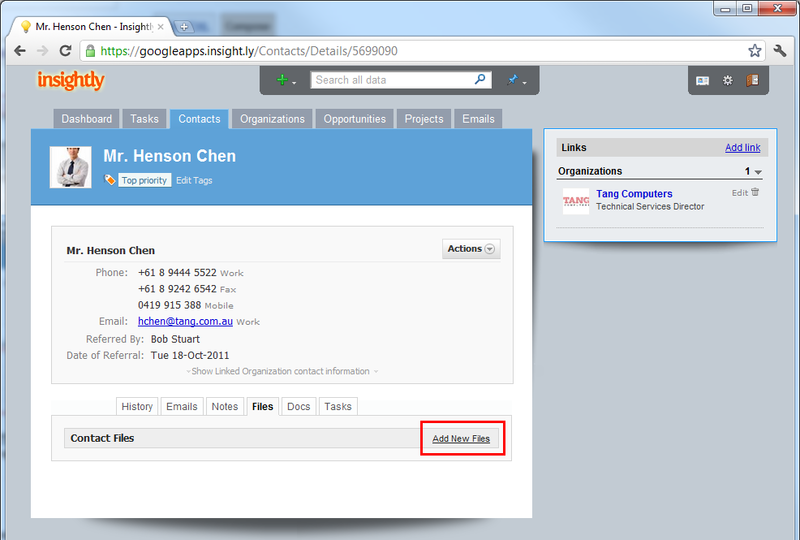 Click the calendar icon in the top right corner, and then click the 'Add New Event' button. 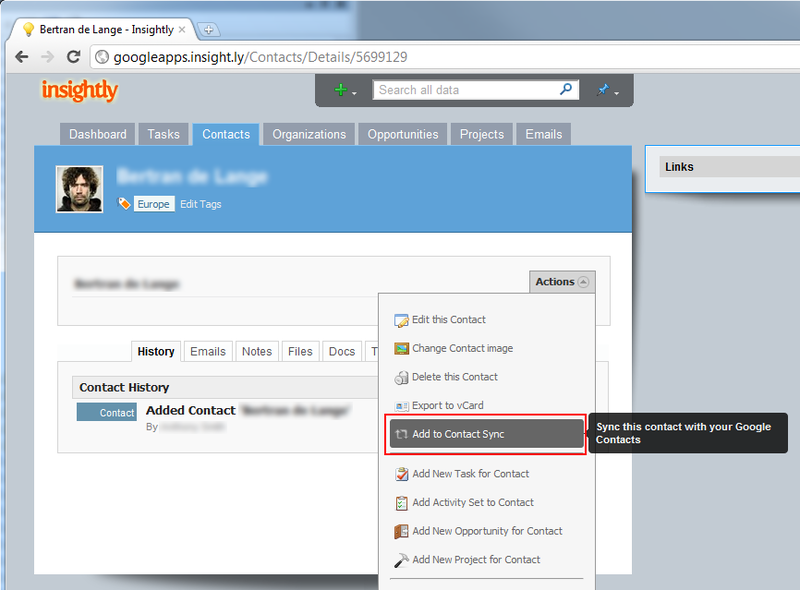 Linking an event to other items in Insightly will cause the event to show under the Events sub-tab for that linked item. When editing or viewing an event, the links sidebar on the right hand side of the page can be used to link the event to other items. 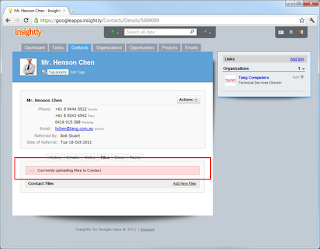 Click the 'Add Link' hyperlink in the top right and type in the name of the item to link it to the event. 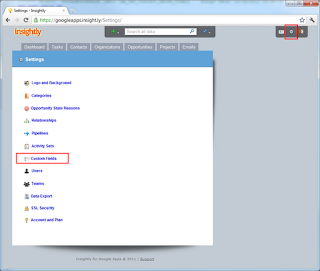 The links sidebar works the same way for other items in Insightly too. 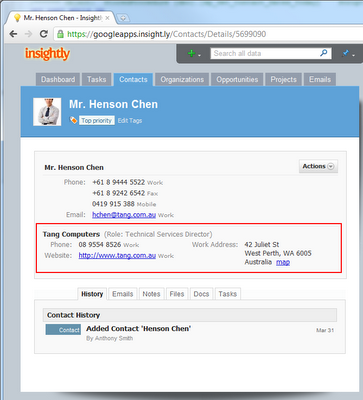 All events in Insightly are displayed specific to your timezone - so make sure you have the correct timezone set under 'My Info' > 'Regional Settings'. 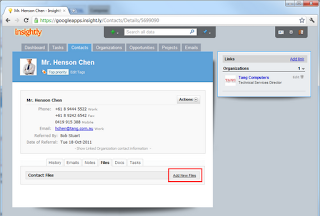 The 'My Info' page is accessible via the small card icon in the top right corner. We added an integrated calendar into Insightly too. 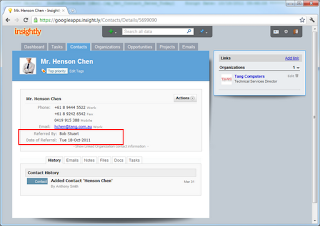 It's accessible by clicking the calendar icon in the top right corner. By default it shows all your events, but you can also show your tasks and any milestones you're responsible for too, or public events from other Insightly users. 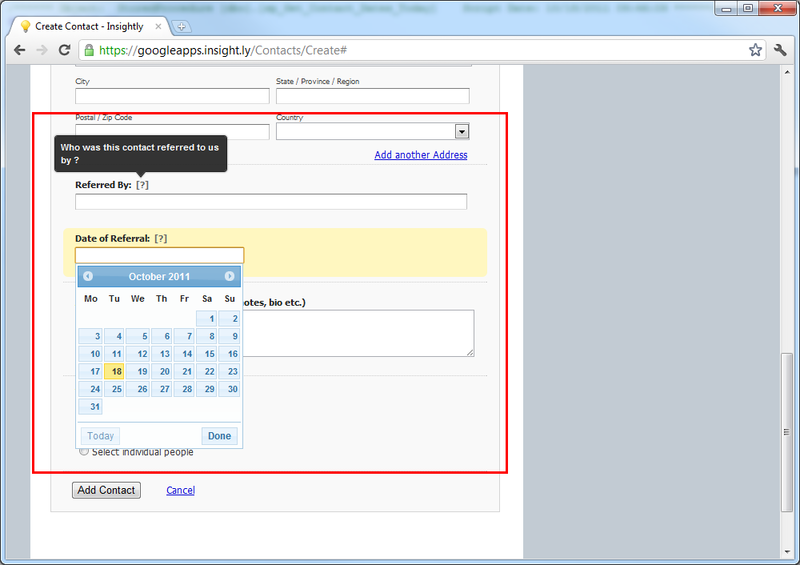 There are views for showing the entire month like a wall calendar, or for showing a week, or a single day. 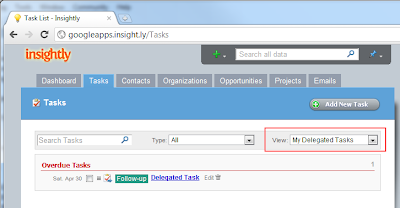 You can move between the weeks or months by clicking on the arrow buttons to the left and right of the current month in the header. 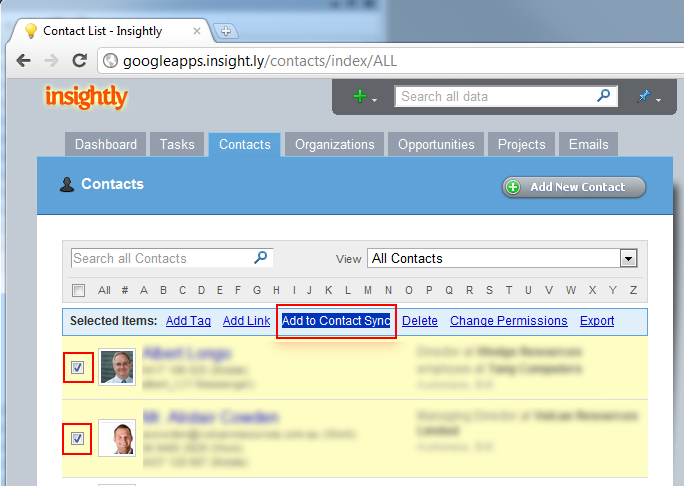 To get back to today, click the 'Today' button in the header. 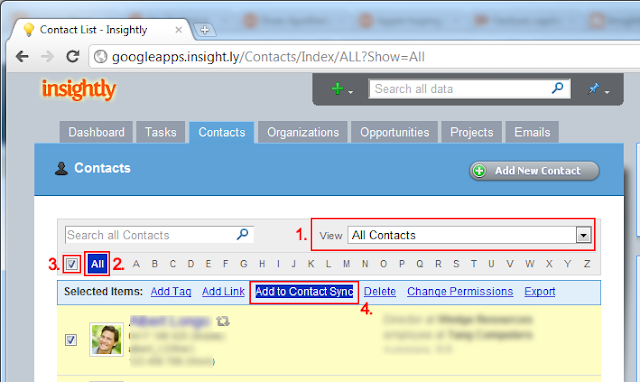 To show public events for other Insightly users, click the checkbox next to the name to display them in the calendar. If you wish to change the color of any calendar items so you can better distinguish them from others, click the small color square next to the name and choose another color. 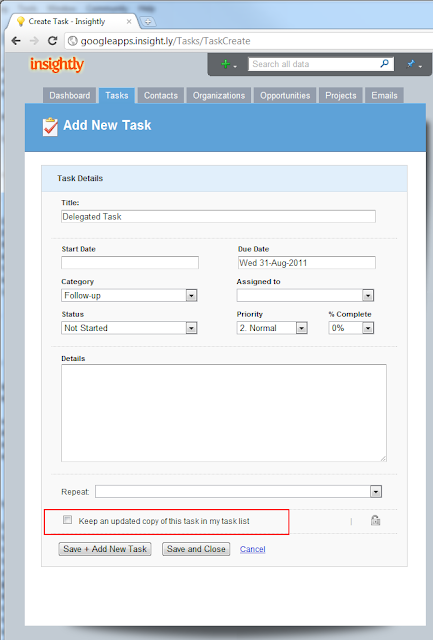 Clicking on an item in the calendar will display a small popup with the details of the event, milestone or task, and from there you can jump to the page for that item, edit the details, or delete the item. 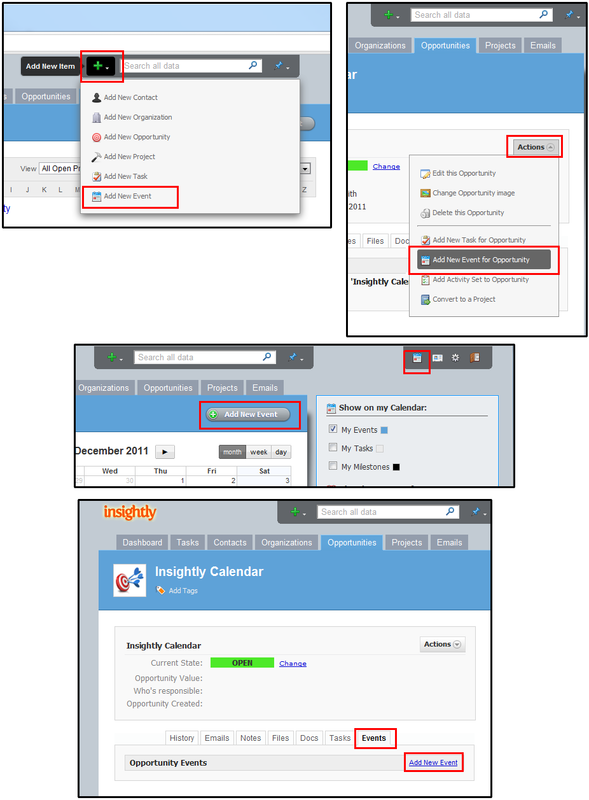 If you use another calendar tool like Google Calendar, Apple iCal, Mozilla Calendar, the calendar on your mobile phone, iPad or Android tablet, or just about any other calendar that supports the iCalendar standard - you can easily subscribe to your Insightly calendar in just one click to see your events, tasks and any milestones you are responsible for on that calendar. 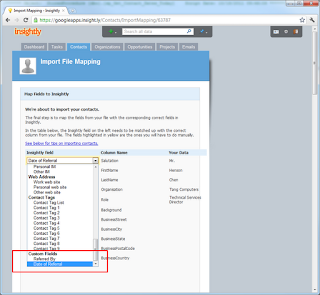 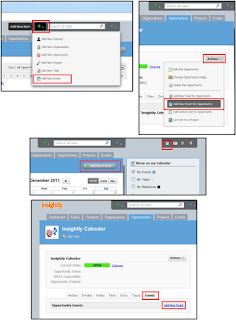 The link to subscribe to your Insightly Calendar is at the bottom left of the page. 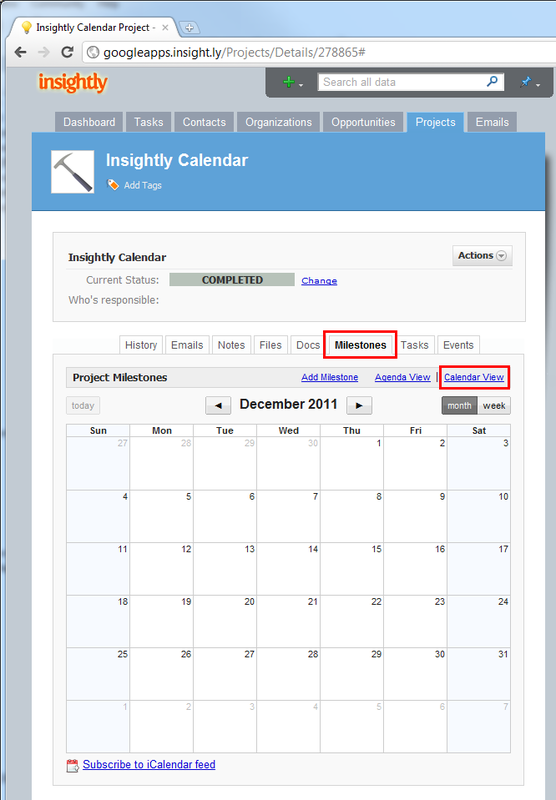 We added a project calendar to Insightly too for any projects that use milestones. 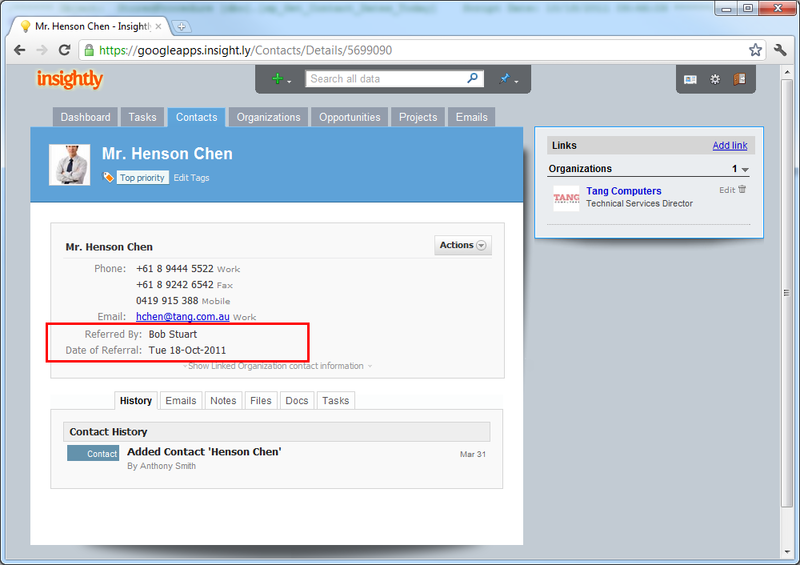 It's accessible via the Milestones sub-tab, then by clicking on the 'Calendar View' link. 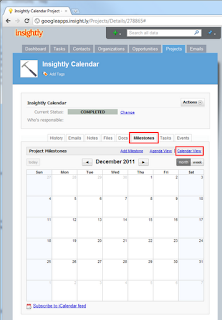 That calendar will show milestones for the project, and you can also subscribe to the iCalendar feed for the project by clicking on the subscription link in the bottom left of the project calendar. 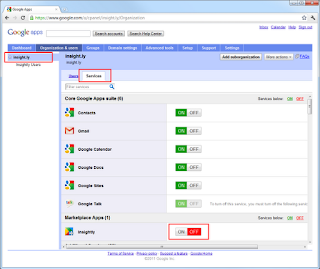 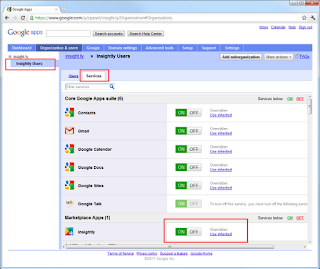 Google has just introduced some new fine grain controls to the Google Apps admin dashboard that allows you to disable/remove the Insightly Gmail gadget and Insightly link in the top navbar for a subset of your users. 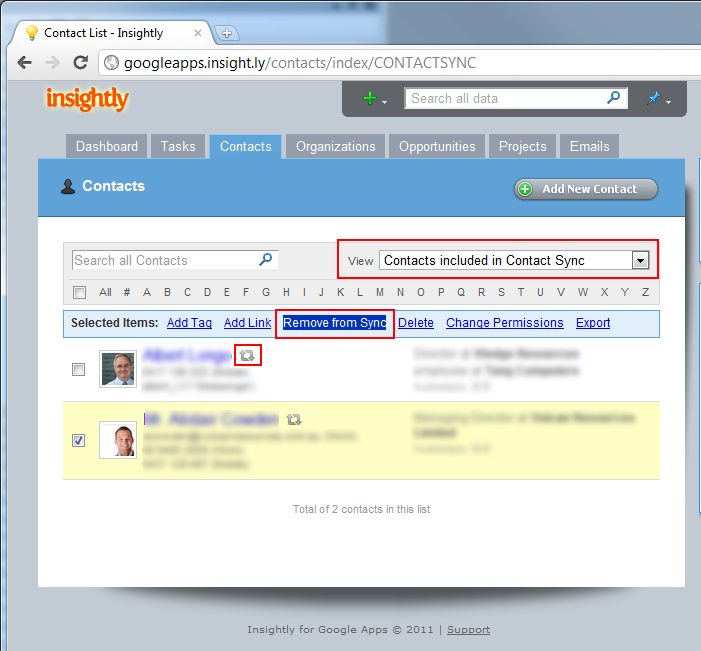 This is useful if not all the users in your organization use Insightly, or if some do not wish to have the gadget appear within Gmail. 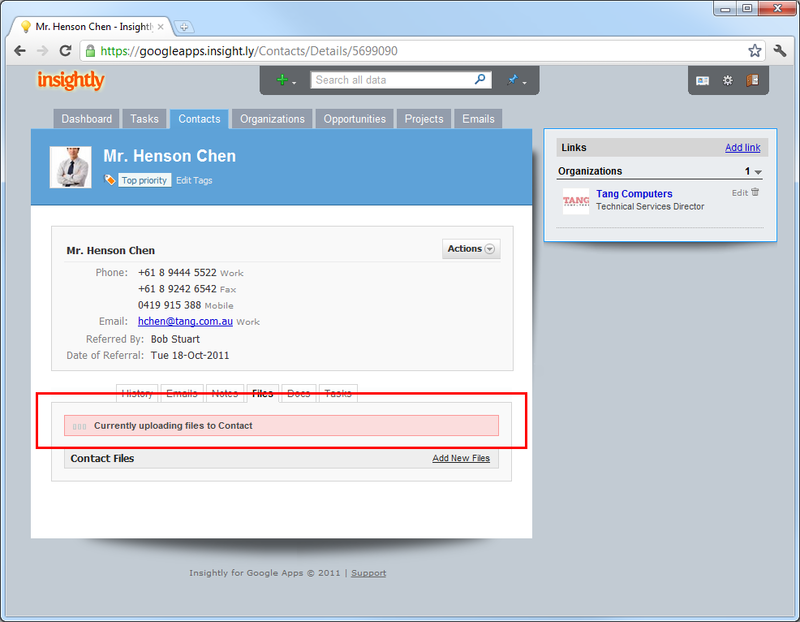 Only a user from your domain with administration privileges can make the changes below. 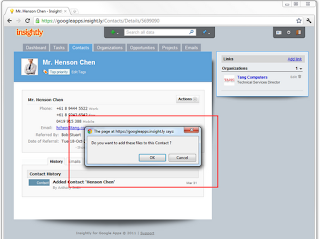 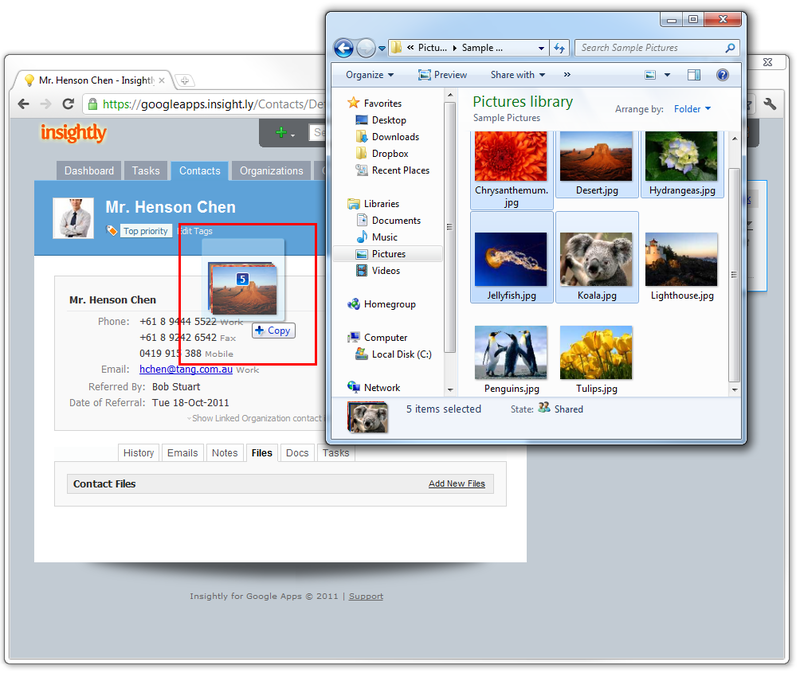 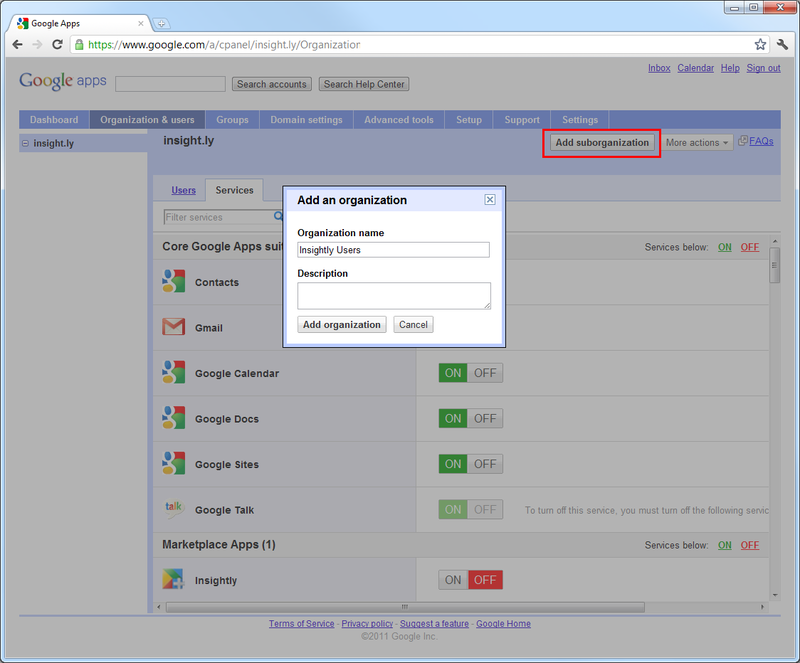 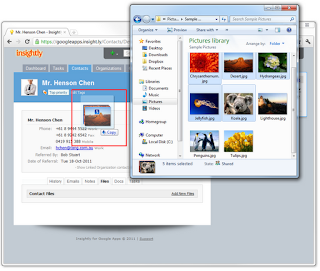 First an administrator from your domain has to log into the Google Apps administration panel located at https://www.google.com/a/cpanel/your-domain.com - where you can substitute in your own Google Apps domain at the end of the URL. 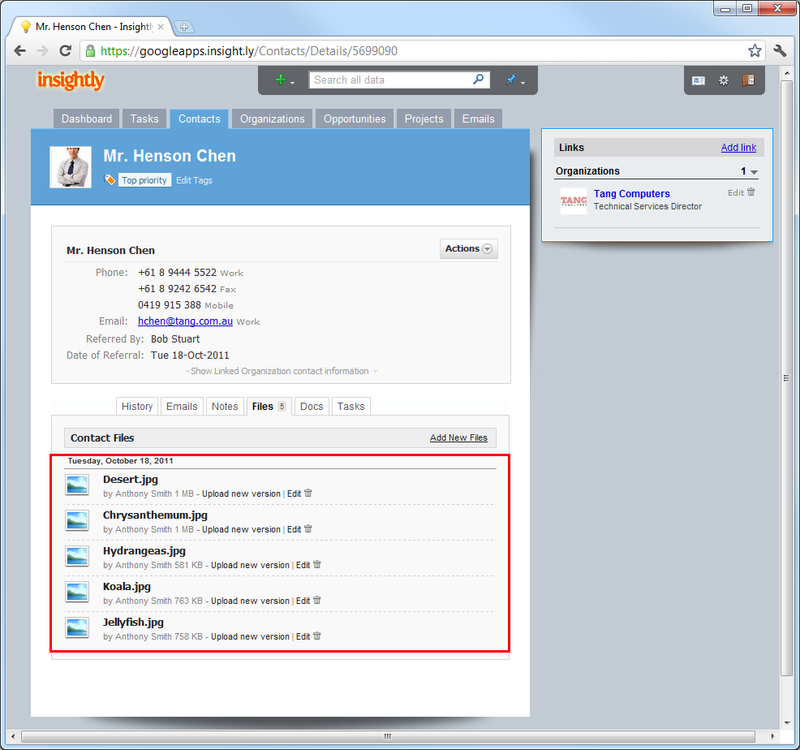 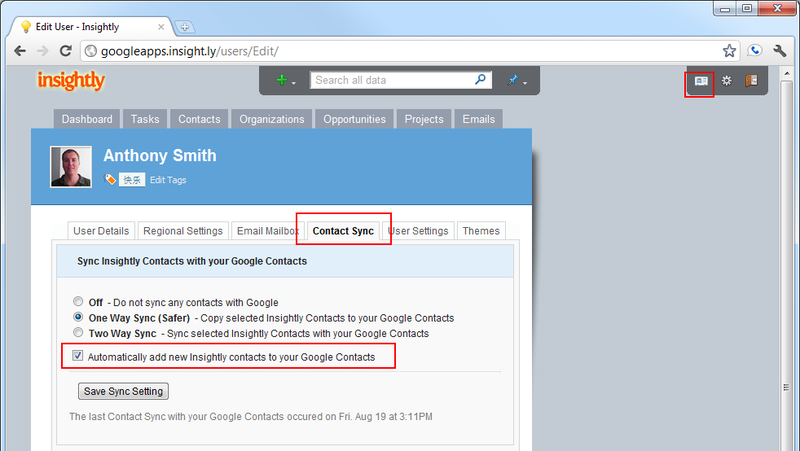 Under the 'Organizations and users' tab, add a new sub-organization called "Insightly Users" or a similar name. 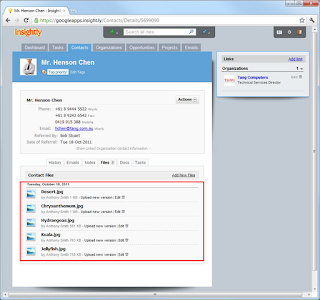 Go back to the list of all your users and move only the users of Insightly into the new sub-organization. 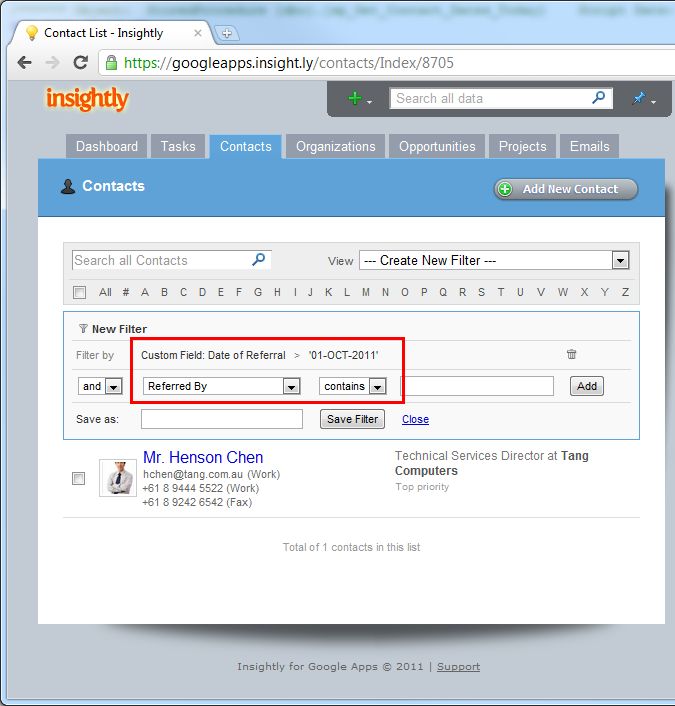 You can do this by clicking the checkbox to the left of the user names, then click the 'Move To' button and choose the 'Insightly Users' option. 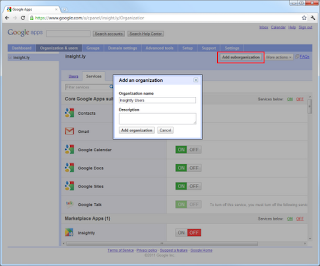 Now you can turn on/off the specific services that users in that sub-organization require. Turn on Insightly and any other services they may require. Finally in the parent Organization turn off access to Insightly to disable the gadget and quick link for all other users in your domain. 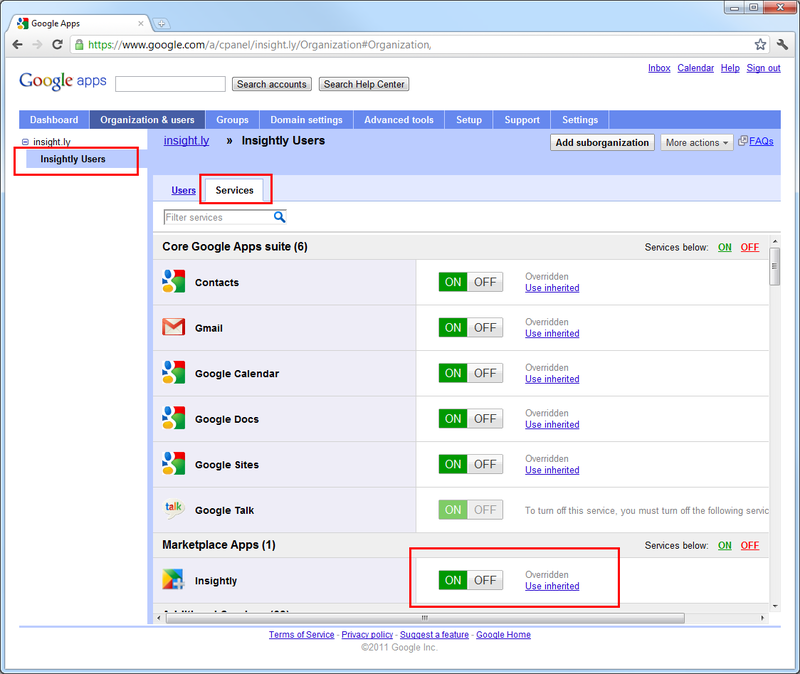 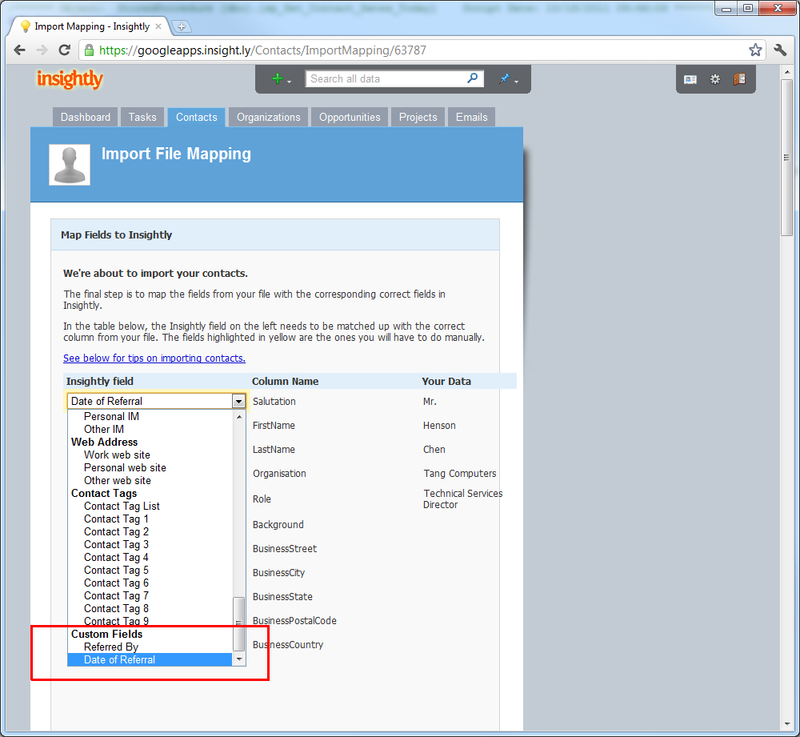 Note these settings do not affect which users can log into Insightly itself (which is controlled within Insightly) - but only the display of the gadget and the Insightly link in Google navbar quick link (under the "More" option). 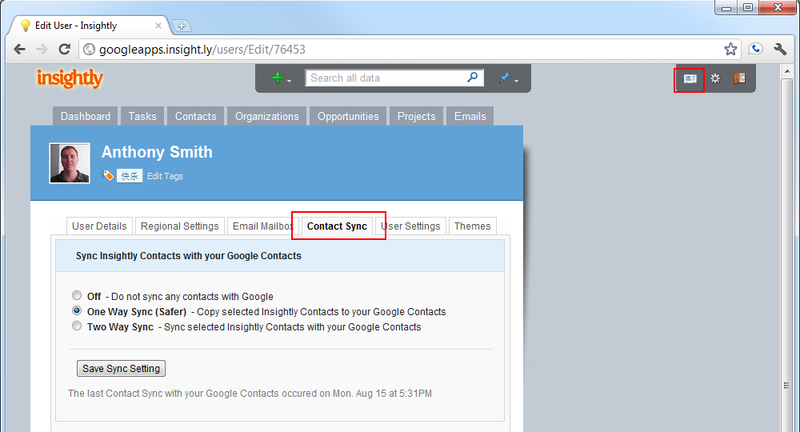 Once you have changed these settings - it may take up to 24 hours for your changes to take effect within Gmail. 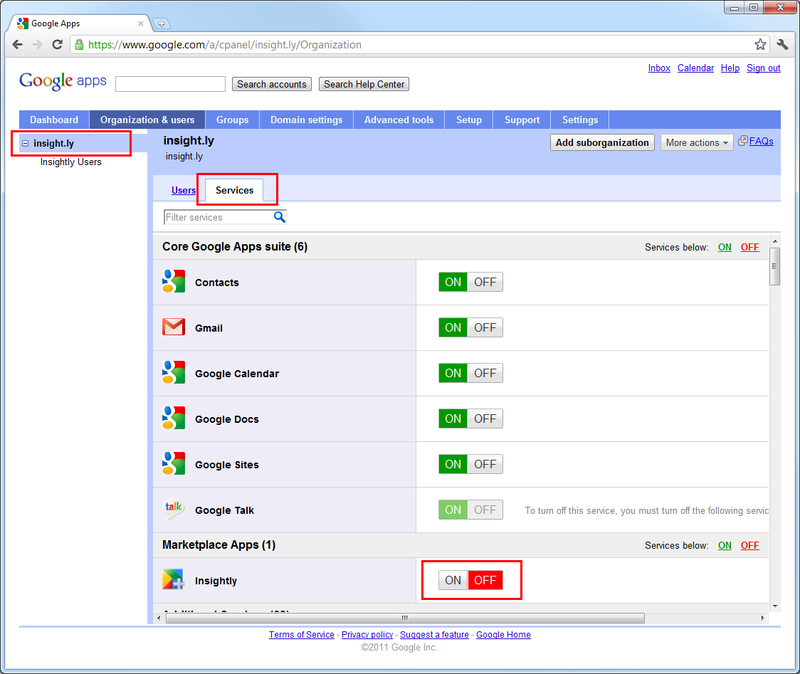 Google also has a blog post on how to do this.